For a unique take on the live streaming concert, Woodkid—the musician/director who was responsible for Lana Del Rey&apos;s "Born To Die" video—sets up at the Eiffel Tower for a live show. It’s weird how so many Parisians hate the Eiffel Tower. A bunch of people wanted to tear it down when it opened in 1889. And there’s that apocryphal story that when the tower opened, Guy de Maupassant ate lunch in its restaurant all the time because it was the only spot in Paris where he didn’t have to look at it. Well look, call us tourists, but we love it. 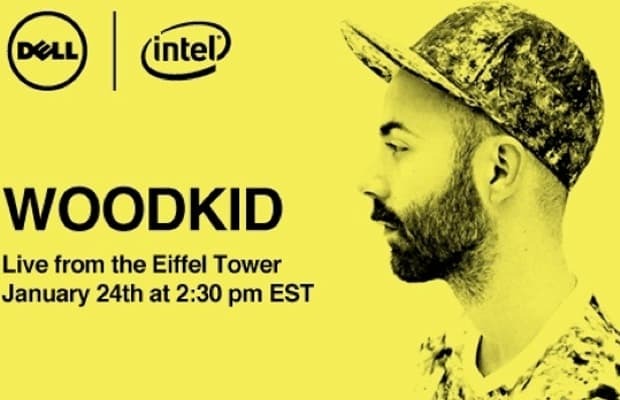 We love it so much that today, at 2:30PM EST, we’re putting on the fifth installment of Dell & Intel’s Special Engagement series with the multitalented singer-songwriter Woodkid. He’ll be performing his brassy, hypnotic jams from—get this—the first floor of the tower. UPDATE: Apparently there are some technical issues being worked out. Stay tuned.